New! Football training sessions for children with additional support needs! Kids of all ages, and with all types of additional support need, welcome. 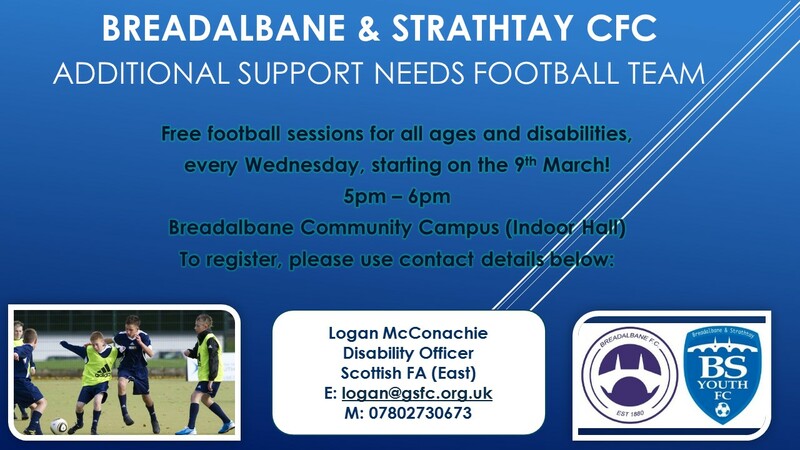 Starting 9 March, 5pm, Breadalbane Community Campus.